The Spartans, the ultimate Greek party band. From plate smashing to belly dancing, act is ideal for weddings and any occasion requiring audience participation. The Spartans are a three to five piece Greek band who can also cover Latin/salsa styles, and work with dancers, including belly dancers and plate smashers, if required. The Spartans encourage audience participation. Although Chaz Kkoshi has been an established writer and producer in the pop industry for many years, he is still a relatively undiscovered talent within the media music industry where he has scored music for numerous documentaries and small films. Chaz has written, produced and collaborated with an array of diverse acts such as, Boy George, Culture Club, Steps, Rose Royce, Hossam Ramsey, Shalamar, The Real Thing, Odyssey, Heatwave and Gypsy Kings. 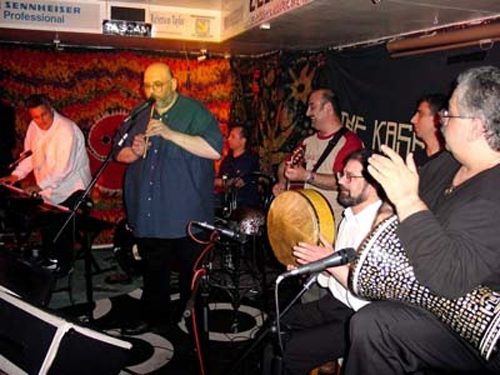 As a Greek Cypriot by birth, Chaz is an expert in both Greek and Turkish music.